What is Cold Water Extraction? Cold water extraction, or shortly CWE is a physicochemical procedure in which a substance is extracted from a mixture through cold water. It is a type of fractional crystallization. This procedure is based on solubility differences of different substances in a low temperature mixture. CWE involves taking a combination of substances, dissolving them in warm water, and then rapidly cooling the mixture. Insoluble compounds will precipitate out of the water, while the soluble ones stay dissolved. The solution can then be separated by decantation or filtration. It is commonly used to separate out opiate drugs that have been mixed with common non-opiate-based analgesics. So, Opiates such as morphine, codeine, hydrocodone and oxycodone are much more soluble in cold water comparing to acetaminophen, aspirin and ibuprofen so they will be dissolved, while acetaminophen, aspirin and ibuprofen will be precipitated. Why is Cold Water Extraction performing? Many opioid drugs combination such as Vicodin (hydrocodone), Lortab (Hydrocodone/paracetamol), Lorcet, Tylenol forte, Percocet etc., may be harmful for the patient. A cold water extraction is a procedure that is most commonly used to remove acetaminophen (paracetamol) from such combinations. CWE also works fine with aspirin and to a slighter extent with ibuprofen, which may be all very toxic if they are taken in high doses together with opioid drugs and overdosed. Serious side effects may result in permanent liver damage. Acetaminophen’s hepatotoxicity is one of the major causes of poisoning worldwide, and in the UK and US, it is one of the most common cause of acute liver failure. By performing cold water extraction acetaminophen and aspirin can be easily removed from prescription pills. Manufacturers and health professionals generally recommended that adults with no issues may take no more than 4 grams of acetaminophen during a day, and not more than 1g APAP at once, however in some cases, and in predisposed patients, even the lower doses may cause liver damage. Cold water extraction is most commonly used with Hydrocodone/acetaminophen, Oxycodone/acetaminophen and Codeine/acetaminophen medications. There is one exception of this rule. Many opioid/analgesic combinations also contain caffeine. Such products can be also used with the knowledge that the most of the caffeine dose will ended in the finished product. Most patients should not matter, however some patients with issues after taking caffeine have to be warned! 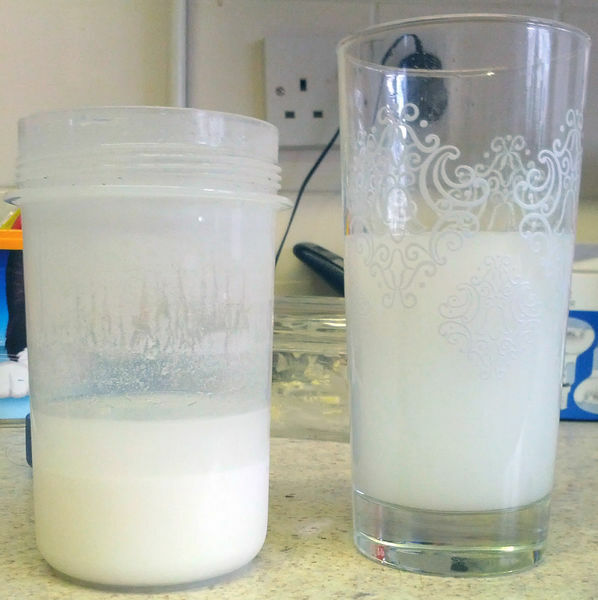 The main idea is that acetaminophen and aspirin are hardly soluble in water. However, most opioids are very soluble in water. Acetaminophen and Aspirin are soluble in methanol, ethanol, ethylene dichloride, dimethyl-formamide, acetone and ethyl acetate; slightly soluble in ether; very soluble in cold water, considerably more soluble in hot water. Extraction works because the opioids will be dissolved into the cold water and leaves the APAP, aspirin, or ibuprofen behind. Also, the aspirin will be able to be caught in your filter. If capsules are, you will not need to crush them, they only need to be opened and their content poured into water. Capsules are also much easier to dissolve. If you don’t have capsules, tablets/pills should be crushed before performing the CWE. How to do a cold water extraction? Crush your tablets into a fine powder. Try to minimize powder loss. If you have capsules, simply open them and pour the content. Tip: Put tablets in a Ziplock bag. Use some object to crush all tablets into a fine powder without perforating the bag. Fine powder should be dissolved into warm water. You should get hot water from your tap and it should not be too hot, because boiling water may destroy the opioid molecule. Put the water in a bowl or container that should be with a wide surface area, allowing the mixture to cool more quickly. Add the powder to about ½ or ¾ cup of water. Tip: It is always better to have too much water than not to have enough. Let the mixture cool to room temperature on for about 10-20 minutes. Stir it every few minutes until it is completely dissolved. Mixture should not be cooled to too quickly, because codeine may be destroyed within. Leave it sit on the counter for a period of time, until it is at or near room temperature. Put the bowl or container with a mixture into the freezer to be cold enough. This is where magic happens. You do not need to put the lid on the container. You should leave it until it is extremely cold to the touch. However, do not let it freeze! This might take up to 20 or 25 minutes. The next step is filtration. You can use for that filter paper, cheesecloth, coffee filter, or even aeropress. A handkerchief might also work well if you do not have mentioned stuff. Put the filter at the top of a cup and secure it with a tape. Pour slowly the mixture into the filtered cup. Do not pour in too much water and do not touch the filter, as you make break it and have to do filtering again. When appears that filter is done with dripping into the cup and there is nothing left to be filtered, you will then get a dense, marshmallow-like substance. You can the squeeze the contents of the old filters via new filter to save any remaining moisture. You also add more water to the marshmallow mixture and re-filter it; nevertheless it isn’t necessary to do. Drink your filtered mixture and throw away the acetaminophen/ibuprofen/aspirin. The most of these should have been successfully removed. The solution might be really bitter, so you can mix it with something sweet for better taste.